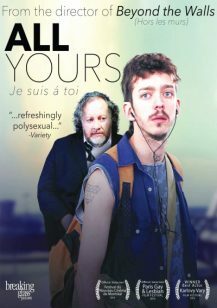 Synopsis: Vassili, an aging pickpocket and prostitute, finds a young, unconscious man in a notorious Parisian cruising ground and takes him home to nurse his wounds. The two men discover a burning connection and become lovers and accomplices. They work together as prostitutes and take up the habit of fleecing their clients one by one. But, little by little, the net tightens around them as Vassili’s violent past comes back to haunt him. After being threatened with reprisals, the couple must abruptly flee Paris in hope of finding a place where they can be happy and content forever. But can they truly escape their inner demons?